The scene in the 2900 block of Mercer Street in Port Richmond, where a veteran Philadelphia police officer and her boyfriend were found dead in her home Monday, Feb. 26, 2018. 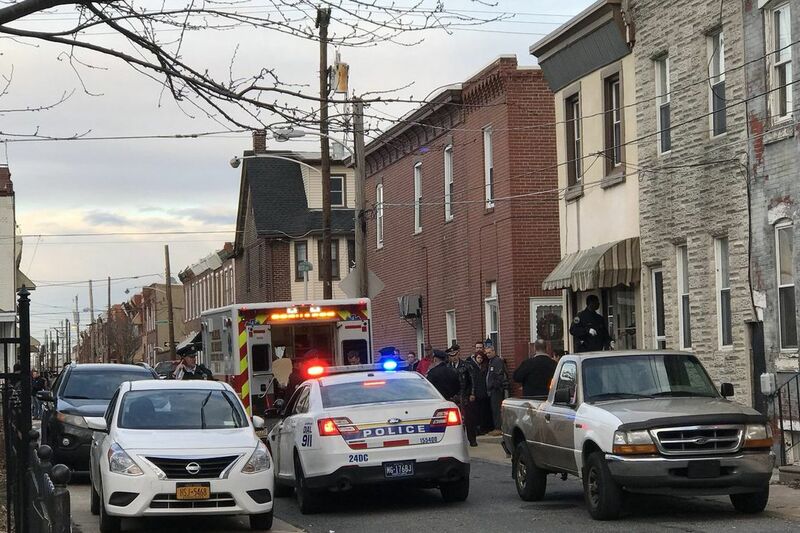 A 36-year-old off-duty female police officer and a man were found dead inside a Port Richmond home about noon Monday, police said. They were found in a rowhouse on the 2900 block of Mercer Street, where they were pronounced dead, a police spokesman said. Their identities were not immediately released, but neighbors identified the officer as Michelle Moran. Property records show that Moran lived in the house. Police said the female officer was a 15-year veteran. There were no obvious signs of trauma. In the hours after the discovery, police, neighbors, investigators and media were drawn to the rowhouse neighborhood, many of them looking for answers. Officers with the Philadelphia police Crime Scene Unit leave the scene where a city officer and another person were found dead in the officer’s Port Richmond home. The two-story rowhouse sits across the street from the Port Richmond branch of the Free Library. Police at the scene said officials were trying to determine what happened: There was no immediate evidence of foul play, and the cause of death was not readily apparent. No other details were released. Neighbors said the officer was very active in the community and popular on the block. Matt Cuevas, 30, who lives a few doors down from her house, said she was an animal lover and had adopted in the last year a pit bull that had been used as a bait dog in fights. "She treated the dogs like her children," Cuevas said. She also coached a women's softball team, he said. "She was always keeping an eye on the block," Cuevas said. "If anybody had any problem, she would say let her know." As for what else she did in the community, Cuevas said: "She didn't really brag."